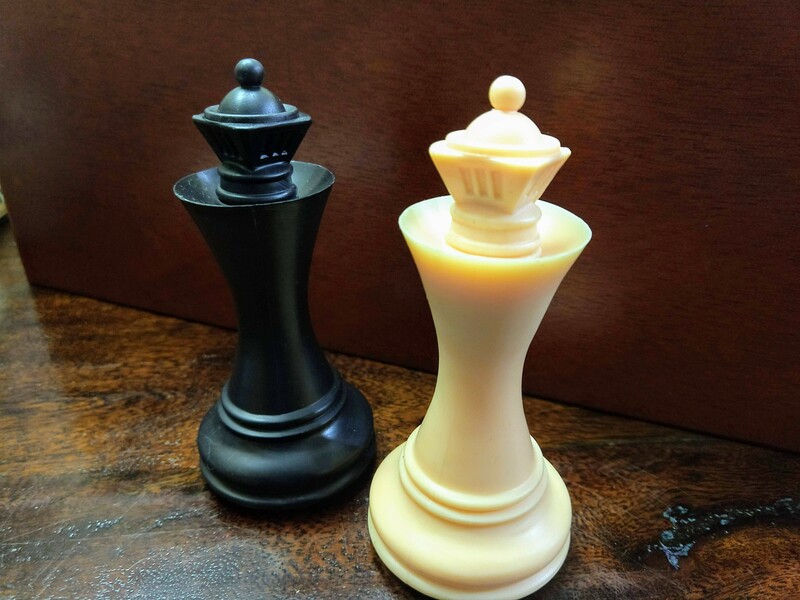 One example of a Chess variant is called Chess960. It was invented by grandmaster and world champion Bobby Fischer. 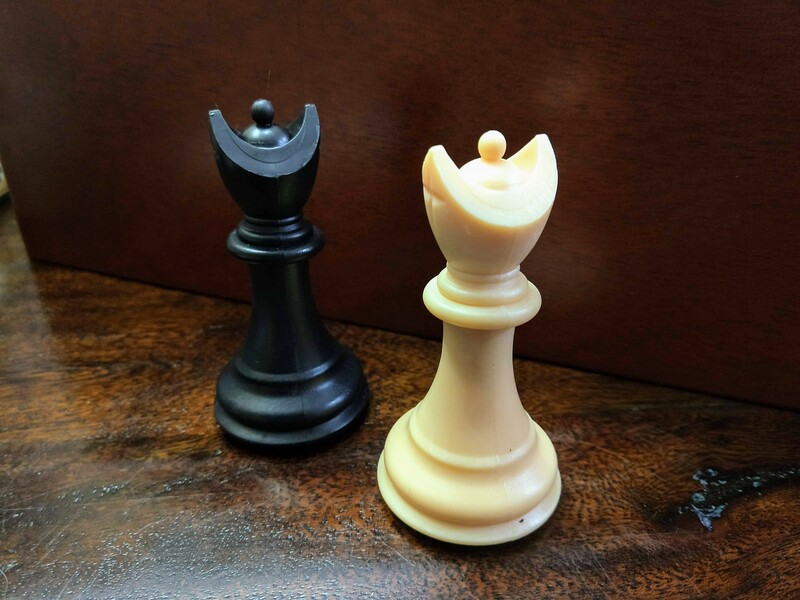 In this version of chess, the back rank pieces (rook, knight, bishop, queen and king) positions are randomly placed instead of the normal locations. 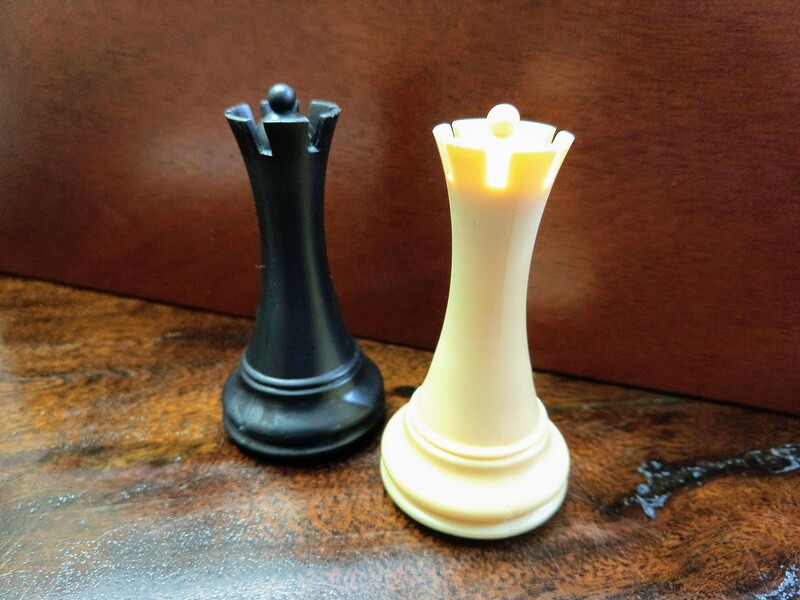 The only rule is that the two bishops must start on opposite color squares to preserve their dynamic ability in the game. 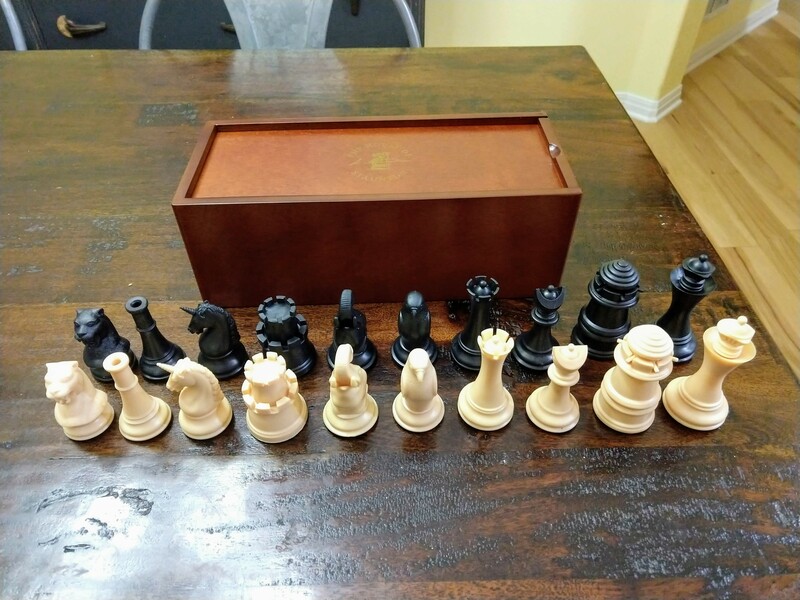 If you calculate out the possible positions of these 8 pieces, you come up with 960 possibilities, hence the name Chess960. 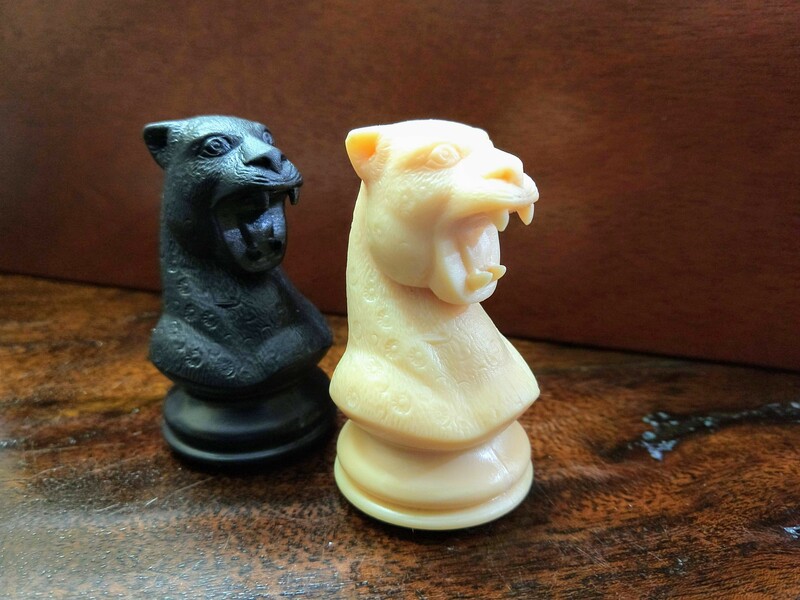 Another Chess variant that we play in Chess club is called bughouse. 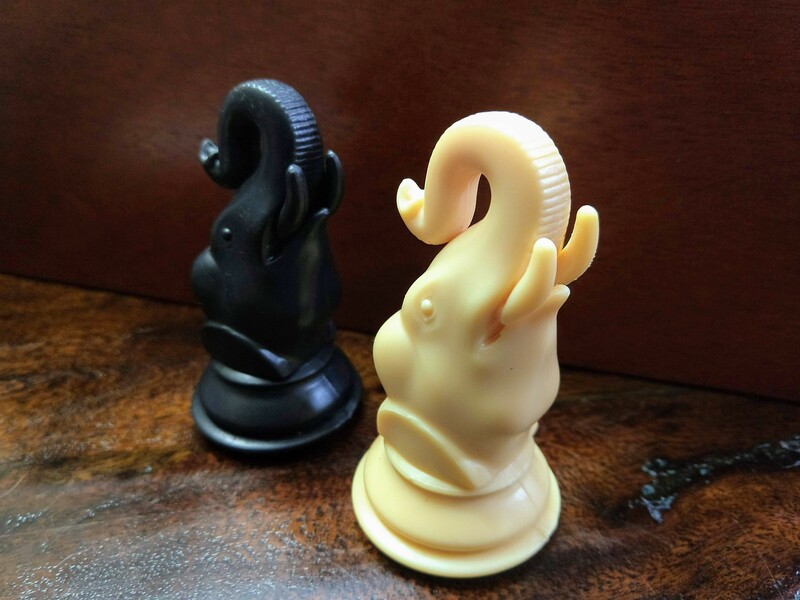 Bughouse is a chess variant played on two chessboards by four players in teams of two. Each team member faces one opponent of the other team. 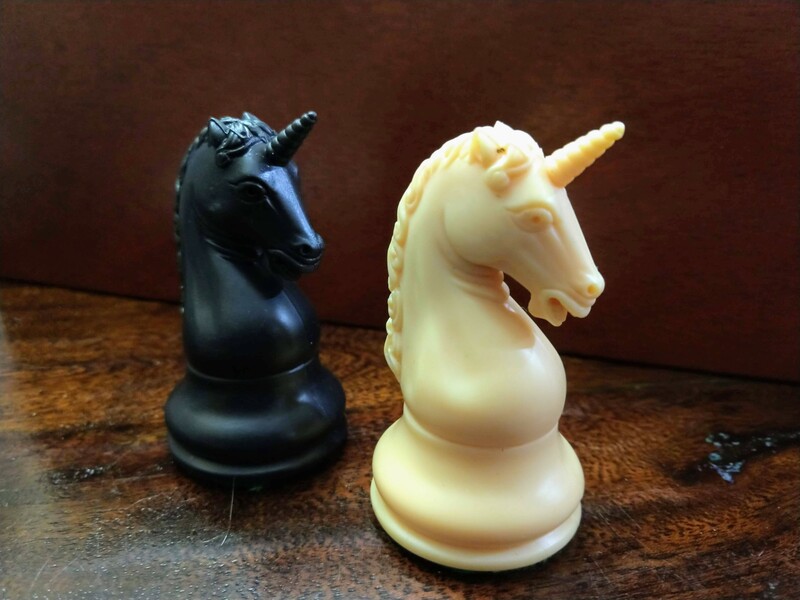 Partners sit next to each other and one player has black, while the other has white. 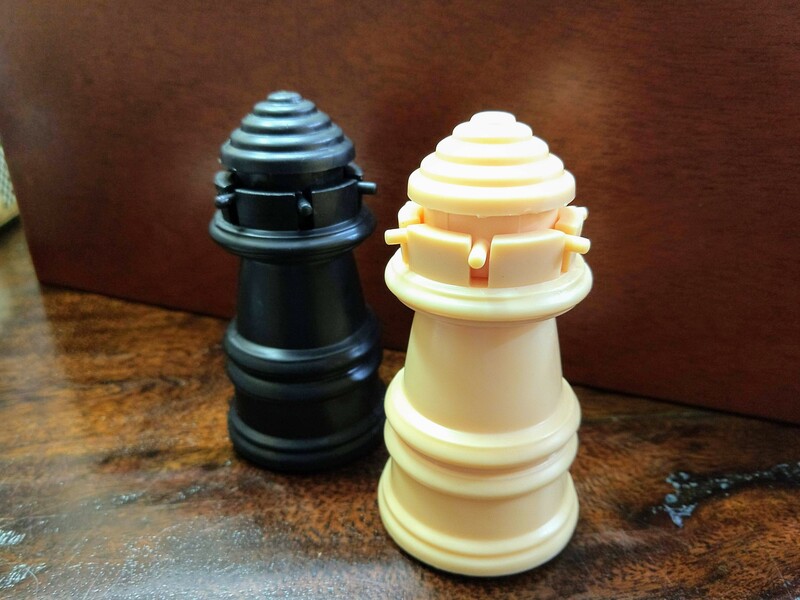 Each player plays the opponent as in a standard chess game except when a player captures an opponent’s piece, that piece is given to the capturer’s partner. 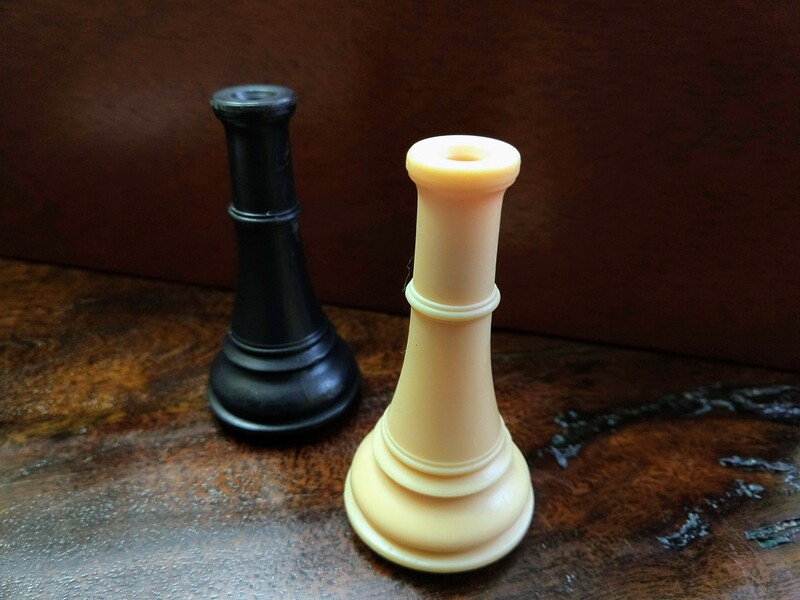 That parter can then choose to play normally or “drop” the captured piece onto his board as a new piece in their game. 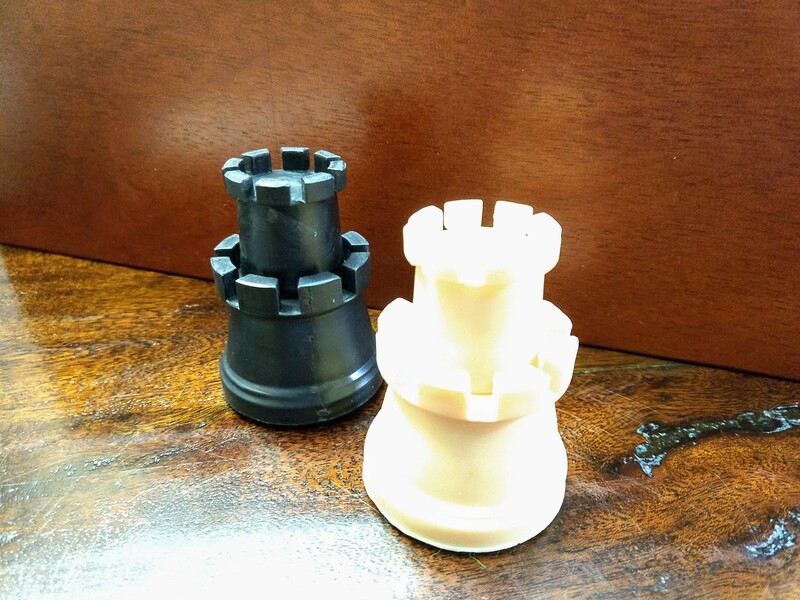 Another Chess variant we play in Chess club is 4 player chess. 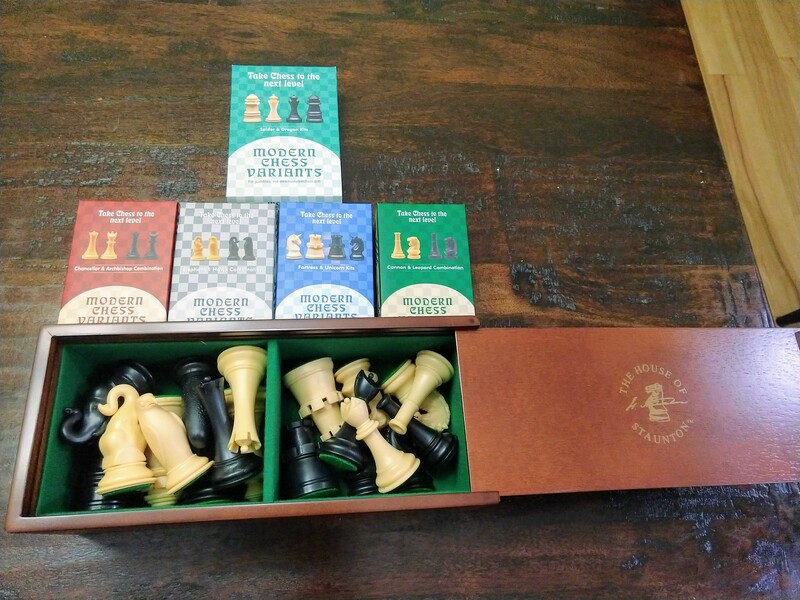 This is a special chess board where 4 sets of chess armies are setup and 4 players play regular chess and attempt to be the last one standing. 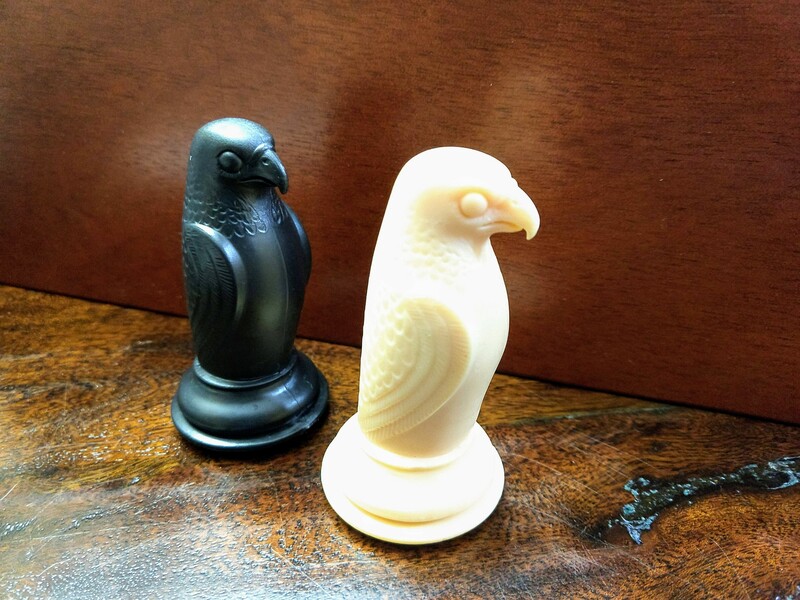 We recently added 10 new chess pieces to our options in Chess club. 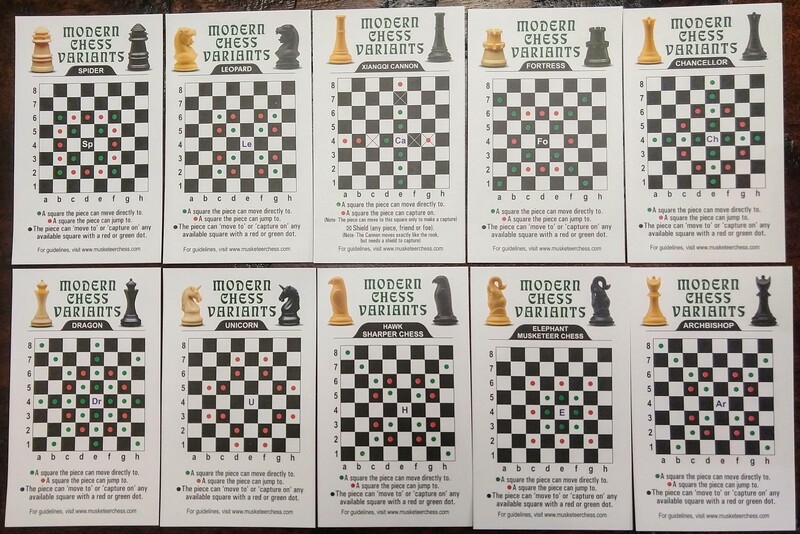 Musketeer Chess includes the following new chess pieces with unique moves. 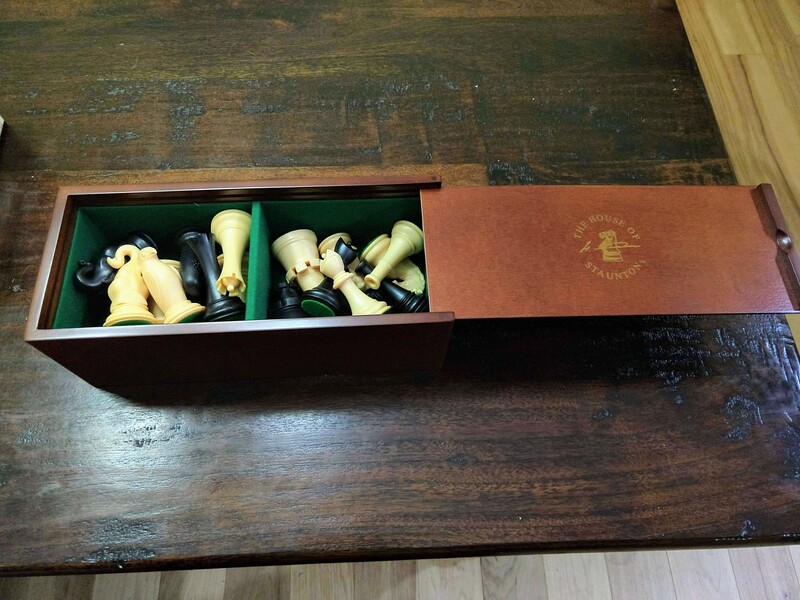 We bouht a wooden box to store these chess pieces and bring them out on special occasions for the kids to use. Since these pieces have special moves that most students do not know, we also have printed cards that show how they move to use as a reference during play.